Every outdoor industry sales and marketing person on the planet has the same problem—not enough of themselves to go around. How do they solve the dilemma? Purchase a boutique online cloning kit and duplicate them? No, so the answer lies in leveraging the new artificial intelligence tools available. Here's a look. Potential customers don't want your sales and marketing team calling them on their schedule (see our Fundamentals of Digital Marketing for the Outdoor Industry), they want access to them when they need them. Whether it is when they have questions, want to be educated, they want the responses in a manner that is personalized to their circumstances. They want all this whenever and wherever they please, across channels and devices. This type of personalization (click here for the "why") and engagement at scale is physically impossible for anyone in sales and marketing to accomplish. For 99% of all outdoor industry companies, it is also prohibitively expensive to build an internal team that can provide the deep relationships, extensive education, and smart, personalized information buyers demand in your various market segments on a one-to-one basis. You have moved the needle in creating great content. With that effort, you really want to believe that it will get you the kind of engagement and conversion your outdoor digital marketing strategy has been designed to provide. However, it's just the start and with a little help from others, you and your internal team can develop and execute a new way of thinking about your outdoor industry marketing and outdoor sales enablement strategy that can ultimately improve your engagements while streamlining your process. It's all based on artificial intelligence (AI). It may seem a bit overwhelming, but it is actually tremendously exciting. 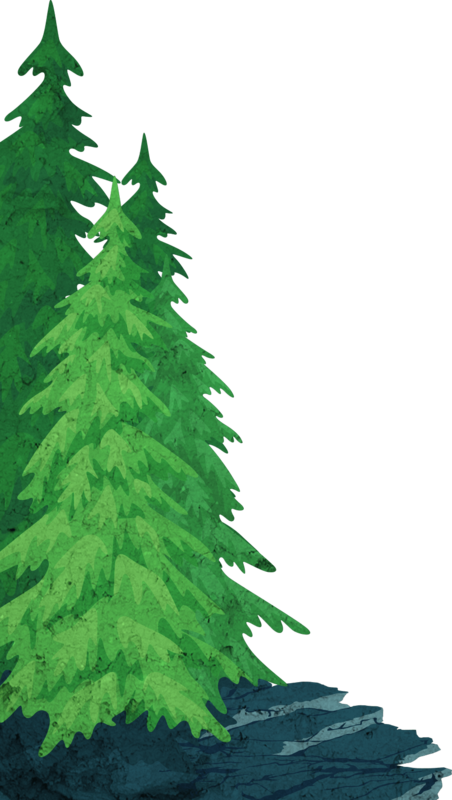 Node is an outdoor company sales enablement technology. It's advanced artificial intelligence system discovers and recommends new potential customers, then counsels marketers and salespeople on what to say to close more deals. It has the backing of some serious tech minds, including renowned entrepreneur and investor Mark Cuban. Using proprietary AI, Node sifts through online data to identify potential new customers. It also analyzes your target buyers, then delivers more of them to you. Through it all, the tool uses what it learns to improve further its predictive power. It’s like having a crystal ball that not only tells you who your ideal customers are but also drops them right in your sales pipeline. AI is a must to effectively leverage your content. A tool like Atomic Reach utilizes AI technology to analyze your content and then shows you not only when your posts tend to perform better, but also how to utilize different tones, content, where and when to publish, and even type of language to better engage your audience (and it’s integrated with HubSpot!). With a tool like this, you can identify your highest performing content and figure out the smartest ways to promote and repurpose that content on different channels. The best content marketers are spending close to 20% of their time creating their content and up to 80% of their time promoting (20/80 rule). It's crucial to put together a comprehensive content distribution strategy to get your message to the right people when they need it most. Though you may be creating less new content, your best and brightest content now gets the chance to shine. You can now spend your time identifying your highest performing content and figuring out the smartest ways to promote and repurpose that content on different channels. Imagine the time you’ll save and the reach your best work will have when you can focus getting it to your audience. If you've heard it once, you've heard it a hundred times: Video isn't going anywhere. Fifty-five percent of people consume video content thoroughly, and by 2020, online videos will account for more than 80 percent of all consumer internet traffic. Creating compelling video is the first step. 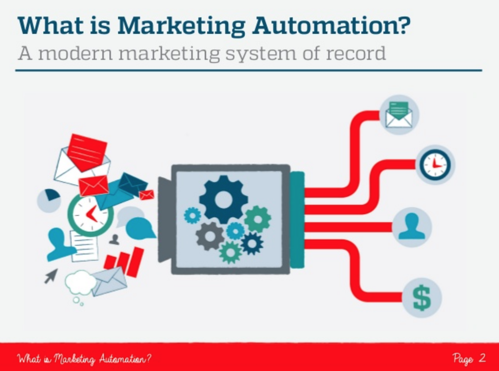 Next, you need video marketing automation. 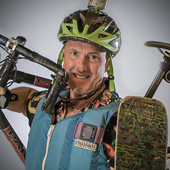 Tom Burgess whom I turn to for assistance in The Digital Outdoorsman's video strategy has been perfecting my knowledge around video marketing and everything you need to succeed. All videos are unique, and everyone and their mothers want the latest and greatest video piece to be different than the rest...the problem is, we aren't genie's, we can't read the future, but we can certainly take our best guesses at what will be coming next. To get the most out of what we do here, we use TwentyThree, as our video marketing platform partner. Tom delivered an insightful and brief presentation to thousands of viewers during their online Video Marketing Automation conference. If you are ready to unleash the power of video marketing, and more importantly all of the important data that you have ALWAYS wanted to gather from your multimedia audience, then stop what you are doing and get in touch with TwentyThree. They are creating the one-stop-shop for anything and everything you need to run a successful video marketing campaign with a super powerful tool. With their help, I was able to push my message on video marketing automation and where it's heading (+ why your video data is important...just watch, you will see) to a global audience. Bringing video marketing automation content into your outdoor industry marketing strategy might seem like a big undertaking, but you can with an assist from Twenty Three. Rather than being "dead", email continues to be a critical "nutritional" component of any digital marketing strategy. It is particularly important in the expanded "re-marketing" opportunities that are being created through increased direct consumer buying on the Internet. However, if your email strategy is suffering from anemic results, you can increase the potency of your email efforts and generate increased performance by incorporating the new AI capabilities that are available for use with email. One example of a powerful new tool is SeventhSense. SeventhSense helps marketers and sales professionals by using artificial intelligence powered email. You can deliver emails at personally optimized times, getting the right email, to the right person, at the right time. 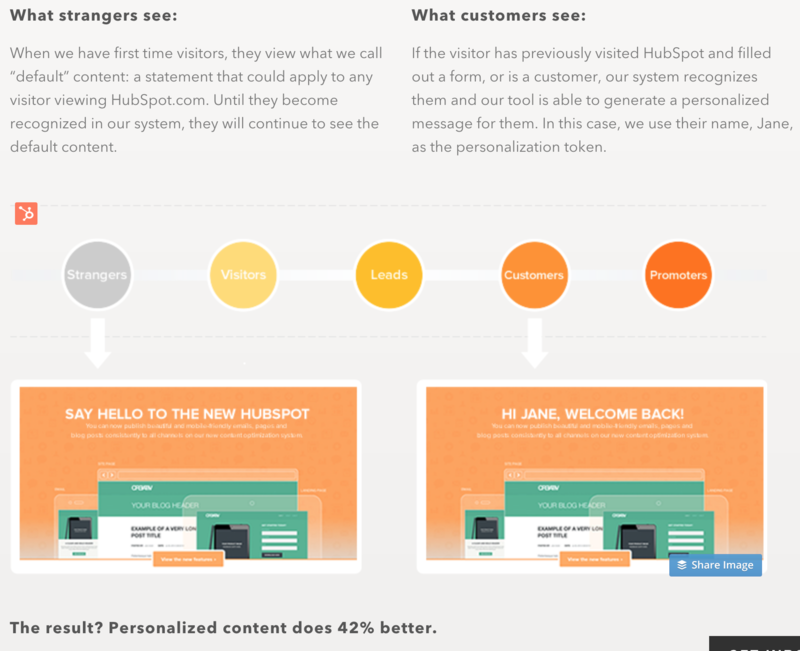 Again, this platform integrates with HubSpot. Another AI email optimization tool is Phrasee. Besides picking the right time to get your email in front of a customer or prospect, having a great subject line also improves open rates. A lot of its sales happen over email, so even a modest bump in engagements and conversions is worth a fortune. Check out the case studies they provide with hard data on the success this tool has had with companies using it. 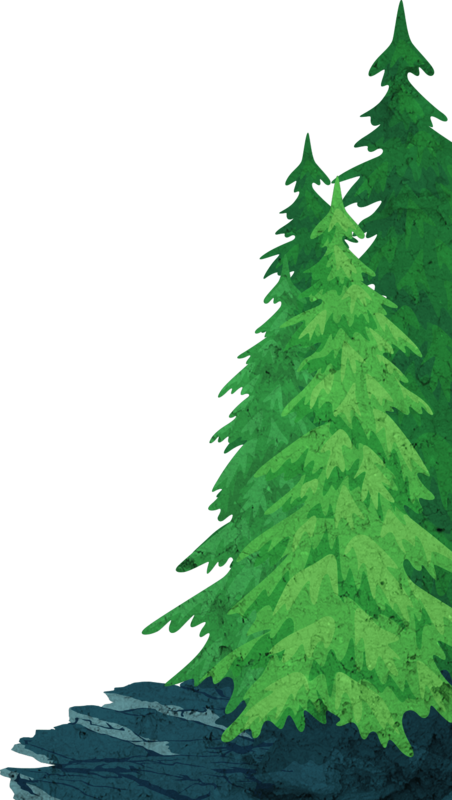 One tool which is also great is Leadgnome. It's more for the B2B use case. What it does is analyzes automated email responses "out of office", "left the company", "on vacation", etc. so that you can uncover new leads and also remove people from your list (for example, left the company, contact x). Here's a question you can ask Alexa or Siri. Is it true that typing a search query is becoming a thing of the past? As a matter of fact, the answer is "yes." With the mass adoption of voice-activated personal assistants to search for information, more consumers are going off-screen and relying on them. 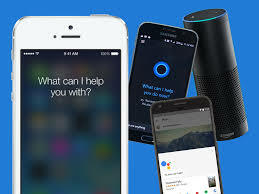 One research report indicates the trend is towards 30% and another, as much as 50 percent of all searches will be conducted through voice by 2020. "We have to think about how a person would ask for something instead of how they would search for it using text. Studies suggest that query length in voice search is much longer than in text search. So focus on long-tail keywords instead of short." We also know that language is a much greater signifier of intent. This means that as we start to use more voice search, the conversions (in theory) should be higher and the quality of leads should be better. Creating content can now be assisted by AI tools that assist in providing content that will answer the long-tail keywords people are using in their search requests. These tools allow you access to input data to output content. Your marketing messages need to be crafted with voice search in mind, which means targeting long-tail keywords and featured snippets. Marketing and sales teams share a common goal: to provide personalized value to their prospects and customers as quickly and as organically as possible. Chatbots enable marketers to meet their audience where they are already consuming content. In fact, brands in different spaces, from National Geographic to Whole Foods, are already implementing this. 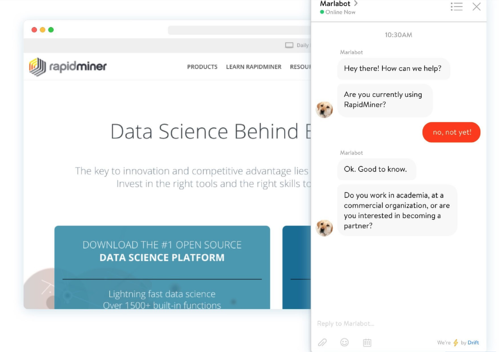 Drift is an AI-powered chatbot tool that hundreds of brands use to engage with and educate site visitors. Chatbots like Drift can automatically converse with visitors, route conversations to your team members, and schedule sales meetings. The tool also captures email addresses so you can automate lead capture and engagement at scale. This type of chatbot is a valuable part of any outdoor company sales enablement strategy and it easily scales. "of the 71% of people willing to use messaging apps to get customer assistance, many do it because they want their problem solved, fast. And if you've ever used (or possibly profaned) Siri, you know there's a much lower tolerance for machines to make mistakes." As people research, they want the information they need as quickly as possible and are increasingly turning to voice search as the technology advances. Using Drift, marketing and salespeople can direct visitors to relevant information on products and services, answer questions and address pain points, and vastly streamline engagement and scheduling. It’s a powerful sales assistant that never sleeps and scales with your needs. Plus, the barrier to entry here is low, so consider test one out. There are some free tools out there to help you get started, and you can obviously put some spend behind other tools for different experiences. HubSpot has a native integration now with Motion AI you can check out as well as Drift. Marketing automation drives 14.5% sales productivity, because AI allows you to understand who your customers really are. AI segments customers based on their activity, purchasing habits, behavioral traits, and various other metrics, allowing you to personalize your communication and content to them. According to a study from the University of Texas, we can attribute our preference for personalized experiences to two key factors: a desire for control and information overload. Let’s look at “desire for control." So, we know that a personalized experience -- by its very nature -- is in some way different from the status quo. 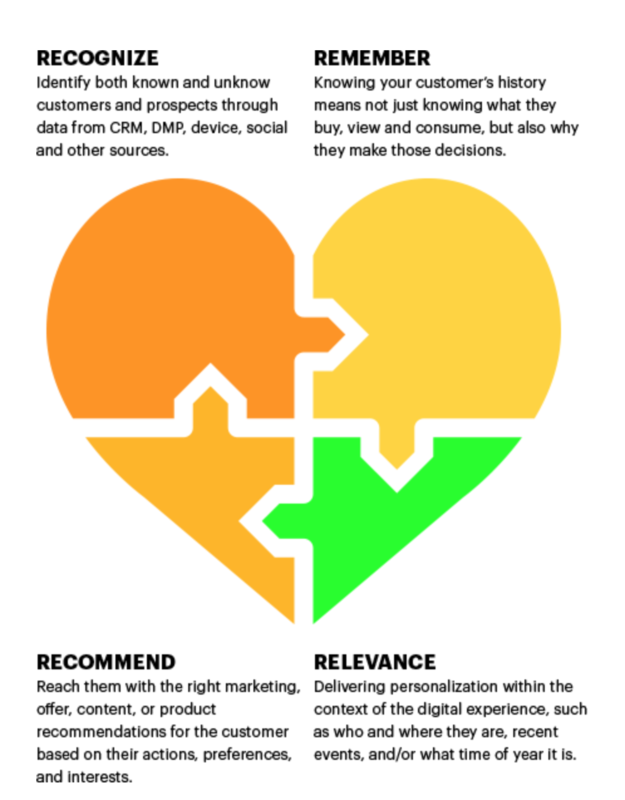 You’re not just getting what everyone else is getting with personalization. Instead, you’re getting something tailored to you. And because of that, it makes you feel more in control. According to the study, another reason that we prefer personalized experiences is because they help reduce information overload. Or, more precisely, personalization can help reduce our perception of information overload. Marketing automation made it easy for marketing and sales teams to carry out repetitive tasks freeing them to focus on creative development, personalized contacts and knowledge dissemination (here are 7 examples). Artificial intelligence is now providing automated marketing platforms like HubSpot with increased human capacity by utilizing predictive analysis and machine learning to create exceptional personalization. With better and more targeted content thoughtfully and thoroughly promoted, you set yourself up for the potential of higher engagement, the ability to ask for more valuable information in your CTAs, and the opportunity to convert your customers to evangelists. Bring the conversation to your audience through the use of artificial intelligence tools and listen to what they have to say. "One area of marketing that will be greatly affected by AI is lead generation. Through machine learning, systems are able to not only crawl and comprehend thousands of pieces of raw contact data, but they are able to identify which contacts have the highest rate of becoming MQLs and SQLs based on previous customer conversions. Specifically, AI tool Netra scans social media interactions to provide insights on customer interests and AI solution CaliberMind predicts customers’ purchasing habits by analyzing raw data from CRM, marketing automation and social media. In addition to better understanding leads, AI tools can help marketers convert leads to sales. Using predictive data, AI can target businesses and customers on a 1-to-1 basis instead of as an entire demographic or sector, increasing the relevance of lead generation campaigns. For example, using Optimove’s AI, online lingerie brand Adore Me has doubled its active customer base and increased its monthly recurring revenue by segmenting and contacting customers on different platforms. Lastly, marketers can decrease the cost of campaigns by using AI to optimize content based on customer engagement. By doing so, brands are able to reach more specific target markets with messaging that resonates." There is a direct correlation with the positive effects businesses have already experienced since implementing AI according to Bizztor, such as a 58% increase in revenue, 54% more traffic engagement and 52% higher conversions. In short, AI is changing the way outdoor brands market and sell today and will continue to change marketing and sales in this industry in years to come. If you are not implementing a marketing and sales strategy that utilizes these new AI tools, you will be left behind.